After a soccer accident, I had a sore neck. I thought that it was seriously strained. I went to an urgent care facility and was given some pain killers, muscle relaxers, and steroids. The usual to conservatively treat a strain. I did not think that X-rays were necessary. A couple of weeks went by and every morning I would wake up feeling a little bit better. The end of the day was tough, but I have been injured enough to know that these things take time to heal. I was feeling a bit nervous as we were studying muscles and bones in class and I had a nagging feeling that I had done more damage than I would have liked to admit. I went in for X-rays. The PA (physicians assistant) checked my X-rays and wanted a radiologist to look at them. The next day, I got a phone call saying that I had done some serious damage and I should get myself to the hospital as soon as possible. This sort of news is difficult to take in. They tried to explain things on the phone, but I had stopped listening. I went to the Swedish First Hill Emergency Room and was well taken care of. They took more X-rays and didn’t like what they saw. My C6 vertebrae was not aligned with the others. Most notably, the C7 below it. If the C6 fell off the C7 I could be paralyzed or dead. For two weeks, I was walking around, working, digging in the garden, and had no idea how seriously injured I was. 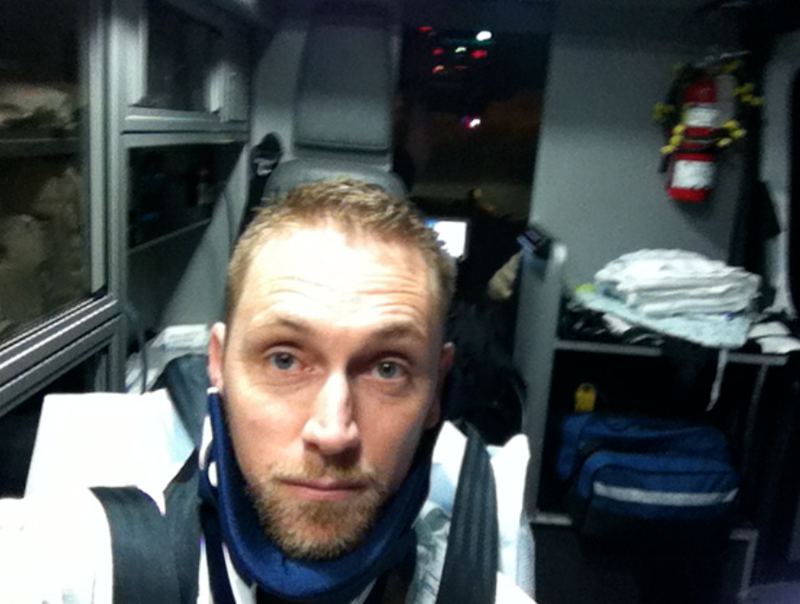 I was transferred (my first time in an ambulance) from First Hill to Cherry Hill and put on the neurosciences floor. The memories of my brother being on a neuro floor came flooding back. I kept telling myself how lucky I was to catch this before I was seriously injured. 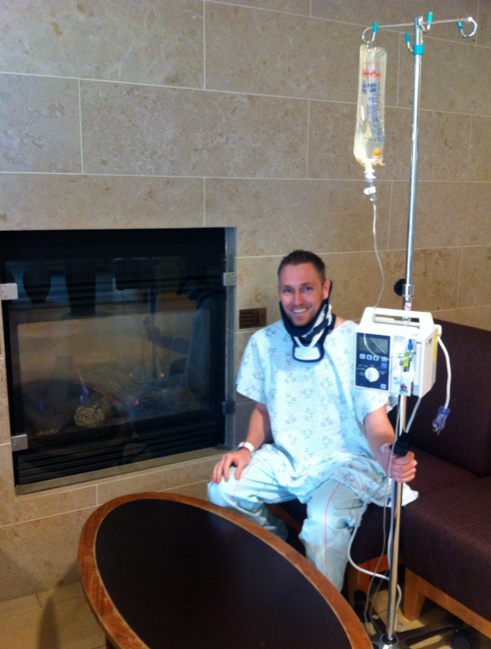 My brother is also lucky to walking and alive. So I arrived at 1am and was put into a bed. I was told to keep my big collar on, not get up, and pee in the urinal. It took a couple of hours for the doctors orders to arrive. I was given a saline IV with 20 mEq/L of potassium. Apparently, my potassium levels were 3.3 mEq/L (normal is 3.5-5). Here is where my nursing friends and I start to geek out. My nurses and NACs that I met were all great. They treated me well and kept me updated before my surgery. One of the surgeons came in at about 3am to tell me that the team would be meeting in the morning and would get me into surgery the next day. The next morning (really just a few hours later) I met with the surgeon and I immediately liked him. He showed me his scar where he has a similar surgery. It was nice to be able to ask real world questions like, “What will my range of motion be after the surgery?” and get a true answer. Instead of a textbook answer, he would move his head around. I was nervous most of the day just waiting for the operating room to be ready, but I had some great friends keep me company. My crew of support has been fantastic. I cannot thank Derek, Casey, Stefanie, Ed, Patty, Jenn, Adam, and of course Amanda enough. I was eventually led into surgery and the staff was all great. They calmed my nerves and we made small talk until I slid onto the operating table. My neck was still in a collar, but I couldn’t bring myself to look around too much. The cold sterility of the room made me more nervous than I would like to admit. Surgery was apparently a success. I didn’t do much for the 45 minutes that it took, but I woke up glad that it was now time to start recovering. I was up walking around later that day. I am able to drink fluids and eat soft foods. They discharged me the day after surgery. Now I am at home recovering. It is nice to sit by the fire sometimes. Before surgery. 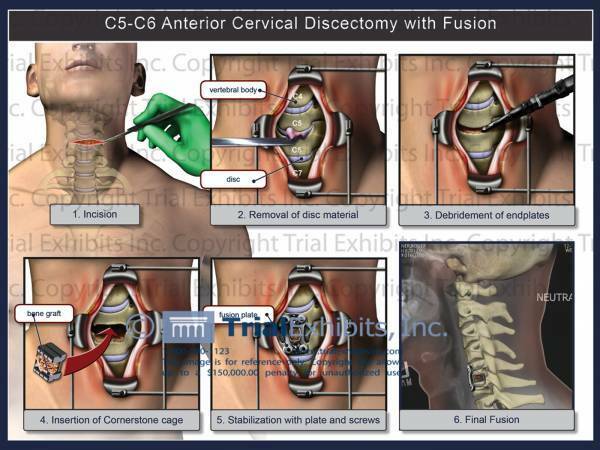 In summary, I had an anterior cervical discectomy and fusion. 3D medical animation, not the real thing, can be seen here. 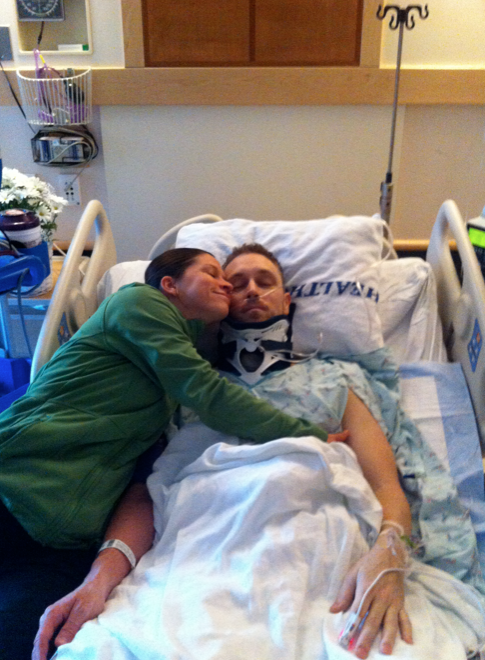 This entry was posted in health, injury, life, lucky, Nursing, thoughts and tagged health, hospital, life, lucky, neck injury, nursing, Seattle by Rory. Bookmark the permalink. Get well. And have fun with the worldcup. Thnaks for sharing -” enjoy your life”-.